"Elegant meals & exceptional service at affordable prices!" Your wedding reception menu is a reflection of your personality, your tastes and your traditions. This is why, at Costa Rica Catering, we do not believe in fixed menus.. Every menu is developed with careful consideration of what you tell us about how you would like to spend your special day. From a private, romantic , candlelit dinner for two on a secluded beach, to a large gathering of friends and family who have come together to celebrate and create life long memories, we can create them all with style and flair. 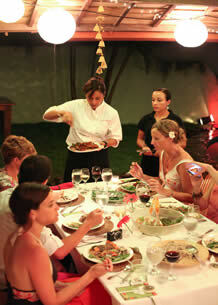 Each custom Costa Rican wedding catering menu is carefully planned to suit both your tastes and your budget. We provide cocktail menus, and full bar service complete with signature cocktails designed especially for you. 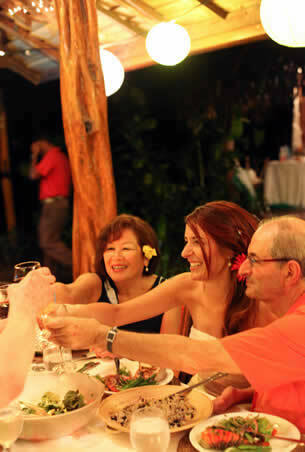 Also available is a wealth of information and recommendations on venues, trusted vendors and wedding planners who operate in the Tamarindo - Langosta areas. 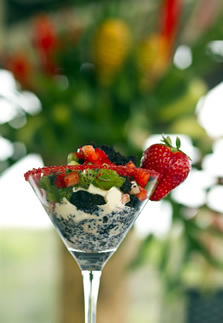 Together, we will create the wedding reception catering menu of your dreams! 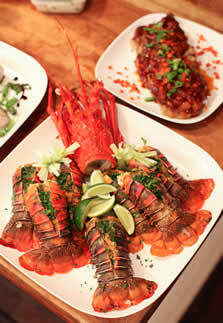 Check our website for menu ideas and samples of menus we have customized, for your inspiration. We have a dedicated cake menu and will work with you to create the perfect wedding cake in style, flavor and finish. Serving the beaches of Tamarindo, Langosta, Grande, Conchal, Brasilito, Flamingo, Potrero, Pinillas & Papagayo. We can also extend our service to Hermosa, Quepos, Manuel Antonio, Santa Teresa, Jaco, Mal Pais, Arenal, Punta Arenas, Monetzuma & Heradura. Sample Wedding Menus (click here).